Best breast milk storage bags are plastic containers especially and specifically made for the collection and storage of expressed breast milk. These bags are different from zip lock bags and sandwich bags that you get to buy in the grocery or department stores since they are usually BPA free, thicker, and pre-sterilized purposely made to withstand the whole freezing, storing and thawing process. Since breast milk storage bags are sterile, they are convenient and you can use them right out of the package without worrying about germs or contaminants that may infect your baby. There are other options for milk storage but most mothers prefer to use storage bags since they are a lot cheaper than the plastic containers and glass bottles, and more practical since they are not as bulky and they are both convenient and easy; not to mention they maintain the composure and quality of the pumped milk. When choosing which brand of breast milk storage bag to buy, you should look for reliable seals and quality to make sure you get away from leaks. The main thing you want for your milk storage bags to have is durability, you wouldn’t want an easily punctured or torn storage bag especially if it already contains the milk you’ve worked hard for. With plenty of different brands of breast milk storage bags out in the market, looking for good rated ones that would meet all your expectations and requirements is totally a challenge especially if you are a new and inexperienced mom. But no worries, because we are here to help you on knowing what are really for, tips on using them and why you should use them, advantages of breast milk storage bags and its disadvantages as well, and lastly reviews on the top rated breast milk storage bags to guide you on which of them will meet your requirements and which of them will work best for you. Why use breast milk storage bags? To help mothers secure breast milk for their little ones, they would need the perfect tool to successfully store their expressed milk and get it ready for feeding for the next hour or so or during the moments when they will be unavoidably away from their babies. 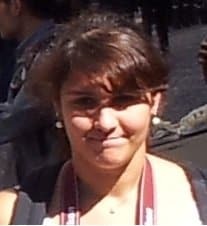 This is when the breast milk storage bags come into the picture. These little bags come in very handy for collecting, storing, freezing and thawing milk for the moms to have a good supply of breast milk available for their precious ones anytime. Some of you may ask why use breast milk storage bags? Why not use zip lock or resealable plastic bags? Those plastic bags you buy from any stores are very much different from the storage bags that are meant for storing milk. The zip lock or plastic bags may tear or split during the freezing process and may cause the spillage and your milk will go to waste. Another reason why you should use breast milk storage bags is that they are also made and constructed for pouring so that when you need to transfer the expressed milk from the storage bag to the feeding bottle there will be no spills. For some mothers it may seem a lot more expensive if you buy the breast milk storage bags instead of the usual resealable plastic bags, but it is totally worth it! Breast milk storage bags are more durable, more reliable, convenient, and safer (since they are sterilized and made with safe materials) than those bags that are not meant and not specifically made for breast milk storage. The number one thing that you would want your breast milk storage bags to have is strength and durability. The breast milk that you will store will go through an array of processes, you put them inside the freezer or refrigerator and get stored in there for a little while and when the time comes you will thaw them for feeding time. You would not want your storage bags to be punctured or get splits and cracks during the whole process because we all know that you have worked hard to express that milk for your most precious little one. So look for breast milk storage bags made with thick and durable materials to limit leaks and spillage. Another important matter to take into consideration is the safety of the bag, you would not want contaminants or toxic substances to come in contact with the milk you’ll be giving your child. You would want a breast milk storage bag that is BPA-free, pre sterilized and toxin free. It would also be a plus if the milk storage comes with an oxygen barrier to preserve the nutrients and seal in freshness of the breast milk. You would also want to consider the size and the capacity of the bag. If your baby is a newborn, you’ll want to go with a storage bag with small capacity. That way you will not be thawing an eight ounce bag while only half of it is consumed, and watching half the milk go down the drain, or alternatively, avoid filling that giant bag up to four ounces and watching the other space in the bag go unfilled. That would be a significant waste of space and money as well. If you have no idea on how to use a breast milk storage bag, don’t you worry since the different breast milk storage bags available in the market will come with a package insert or an instruction manual, but basic steps are very similar for each storage bag. Use a waterproof pen to label the storage bag before filling, it is important to write the date and time of collection of breast milk. Some packs will come with a free pen. Place the bag around the breast pump shield and directly collect the breast milk or decant expressed breast milk from collection bottle into the storage bag. Never fill the bag past the maximum volume since it may cause the bag to burst or break during the freezing process. Push out any air from the remaining empty space in the bag before closing. Seal the breast milk storage bag securely. Store the bag upright in the refrigerator and if storing in the freezer, place the storage bags on a sheet of paper towel or use a rack if you have one to prevent it from sticking to the surface of the freezer or other items inside and lie flat. To thaw, remove from the freezer and thaw upright in the refrigerator, under a running warm water or in a bowl of warm water. Carefully decant the thawed milk into the feeding bottle and ensure the bag is at a good angle and is well positioned to prevent spills. Discard and dispose the used milk storage bag since it is not recommended to reuse breast milk storage bags. The Lansinoh breast milk storage bags are known to be the best and the most popular milk storage bag in the market and is truly recommended by and for all the pumping moms out there! These famous breast milk bags are made of BPA and BPS free plastic which ensures you that your milk will remain toxin free even when stored and frozen. These pre-sterilized storage bags have a unique and patented double Click ‘n’ secure seal to prevent leakage. The Lansinoh storage bags are durable and strong with reinforced seams at the sides to avoid breakage during freezing and leaking during the thawing process. Lansinoh’s milk storage bags deserve to be on top of the list since it offers mothers a very safe and reliable way to store milk at a low cost. Another reason to love the Lansinoh breast milk storage bags is that it gives mom an awesome way to store milk in the freezer, these bags save a lot of space in the fridge and freezer since they lay really flat and that helps the milk to freeze at an even thickness, ensuring that they thaw fast and evenly. Plus it has a very convenient pour spout to help moms pour without any fuss and spills. Lansinoh has made improvements over time making their storage bags bigger and wider and lessen the burden and effort of transferring the milk from one container to the other since these storage bags can be used to pump breast milk directly into a bag. These storage bags are compatible with the Lansinoh without the use of an adapter and are also compatible with a few brands of a breast pump which include Ameda, Avent, Bellema, Evenflo, Medela, and Spectra. The adapter for the other brand of breast pumps will be sold separately. These NUK Seal n Go bags are known for their design with a double zipper on each bag giving moms the assurance that these milk storage bags will be leak proof. These durable breast milk bags have strong reinforced seams to prevent it from ripping and is made from BPA free plastic that is thick and virtually puncture resistant. Another helpful feature of this breast milk storage bag is that it has a wide set stand up bottom so these bags are able to stand upright on their own while filling, they can also be stored standing in a row or stacked flat on top of each other to save space, whichever will work best for your fridge space. These storage bags are designed with an oxygen barrier system that helps keep milk fresh by preventing air and oxygen from entering the storage bag and it helps for the milk to stay fresh for a longer amount of time. It has easy to read measurement markings and the upper tabs provide a good space to label and note the date and time of breast milk collection. 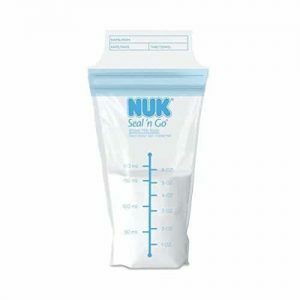 The NUK Seal n Go breast milk storage bags, like most other milk storage bags, are pre-sterilized so you can use them directly out of the box. If you want to be able to pump directly into the NUK Seal n Go bags, a NUK’s Pump and Store breast milk storage kit are available in the market and it lets you pump your breast milk directly into the bag plus it claims to fit and be compatible with most breast pump brands. These reliable and impressive storage bags offer mothers the convenience of a disposable plastic storage bag with the durability of a plastic bottle. The storage twist pouches are part of the Kiinde breast milk system, the system is designed to pump directly into the bags and for feeding the baby all in one. 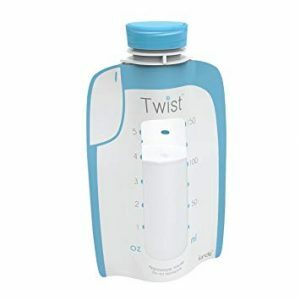 A good thing with these twist pouches is that even if you’re not using the system, you will still be able to pump breast milk directly into the Kiinde twist pouches using all breast pumps. You will need to purchase an adapter for these but need not worry since these adapters are fairly inexpensive. The twist covers of these milk storage bags make them very leak proof but also the twist caps of these bags makes it hard for them to lay flat but arranging them carefully in an alternate way does the trick and helps mom save a lot of storage space. Mothers really love that the Kiinde Breast milk storage twist pouch is very convenient for direct pumping which allows you to store it just as soon as you are done expressing milk which helps moms save so much time. It is also innovative in a way that it is possible to slip the Kiinde twist pouch into the Kiinde Squeeze Natural Feeding milk bottle (sold separately) for easy feeding since the babe can feed directly from the pouch. What makes this an already great milk storage bag on its own is that it has more amazing storage milk bag with a complete feeding set to use for your baby. Dr. Brown’s Breast Milk Storage Bags are built with a very basic and extra durable design. These storage bags are made with BPA free plastic material thick enough to prevent unwanted tearing and ripping during the freezing and thawing process. The bags are sealed with a double zip lock for leak-free storage and come with perforated tops making it super easy to pour breast milk out of the storage bag. Plus these bags have gusseted bottoms which allow the storage bag to stand upright for easy handling. Most mothers rave on how sturdy and strong this plastic bag is which makes them feel confident and secured that their stored breast milk will not go to waste because of leaks and spills. The leak-proof double zipper seals provide more protection for the stored milk from possible external contaminants while also making the sealing process quick and easy. Each storage bags are provided with space at the top for labeling purposes. The measurements appear nicely on the front side of the milk storage bags which will really help mothers know exactly the amount of milk inside. Like any other breast milk storage bags, Dr. Brown’s storage bags are pre-sterilized and are perfect for refrigerator and freezer storage. These milk storage bags stack up nicely and lay flat for easy storing and save a lot of storage space. Tons of mothers are indeed very satisfied with how durable and trusty this breast milk storage bag is. Not only do these breast milk storage bags look really cute but they also are very convenient and easy to use! These breast milk bags are made of sturdy and thick plastic which make them very ideal for freezing, thawing and pouring. Transferring breast milk from container to another will not be a challenge for you since these Little Martin’s milk storage bags have spouts on each bag for easy and mess-free milk pouring. They are also transparent and easy to see through with a label panel at the front to write on the important details of your stored breast milk such as the date and time collection. The Little Martin’s breast milk storage bags are double sealed to ensure extra security for safe and leak free milk storage also the seams of these bags are really thick to prevent it from tearing or bursting during the whole storage process. Another feature to appreciate from this product is that these cute bags have color indicators that will help mothers a lot on checking if the milk is ready to be fed. When both red and blue colors appear it means that the milk is already too cold, if the indicators appear colorless it means that the milk is still too hot. Milk is ready to be fed when the red indicator appears and the blue indicator disappears. These breast milk storage bags can stand upright since it has a standing base but if you have limited storage and want to save some space inside the freezer or refrigerator, these milk storage bags are also able to lay flat and stacked up when freezing. Little Martin’s breast milk storage bags will never worry moms out there since they are safe for babies. Just like other breast milk storage bags, these ones are also pre-sterilized and BPA free. The Philips Avent breast milk storage bags are made with a unique layer design which provides double protection for the milk while giving the ability to stand upright. The seams of these bags are highly reinforced making it sturdy against extreme temperature and prevent tearing and leaking during the whole freezing and thawing process. If you are on a budget, these breast milk storage bags will work right for you. These storage bags are strong performing and ensure the safety and hygiene of your breast milk since they are completely hygienic and ready to use with a tamper evident seal. A large labeling area is placed at the tab of each bag giving mothers plenty of room for recording breast milk information. The same with all Philips Avent products, these breast milk storage bags are BPA free and pre-sterilized. These breast milk bags can stand on their own and also good to be laid flat and stacked up when storing. While the Philips Avent breast milk storage bags are not meant to replace storage and feeding bottles, the very large opening and durable construction makes this milk storage bag a great option for long term breast milk storage. Each of the Bonafide Baby breast milk storage bags contains a removable safety seal for every mothers’ peace of mind. When it comes to safety, these milk storage bags will surely come through since these are made of non-toxic material, latex free, BPA and BPS free and pre-sterilized for your precious baby’s safety. Because when it comes to your baby’s safety, you will not have to settle for less. The package also comes with a free non-toxic marker for freshness tracking through writing the date and time of collection on the label tab in order to facilitate proper and hassle-free labeling of the storage bag without having to worry about finding a pen that will not create the worry of possible toxic contamination from an unknown and unsafe ink ingredient. These breast milk storage bags have upgraded freezer safe assurance and superior leak protection with double zipper seals to stay away from leaks and spills. Each breast milk storage bag is notched on both sides of the opening making it easy for moms to pour and transfer milk from one container to another without worrying about milk loss and spills. Each of these breast milk storage bags is able to stand upright when filled or lay flat on its side for easy and space saving storage. The highlight of these breast milk storage bags is the unique pour spout design which makes it super easy to transfer the milk from the bag to a feeding bottle after thawing. Although these milk storage bags were made with only a single easy to close zipper seal these bags still a multi-ply design that helps avoid splits, tearing, and leaks. A starter kit (sold separately) comes with a pump adapter that allows mothers to pump directly into the Ameda storage bags. The Ameda Store N Pour milk storage bags are smaller than other brands and can only hold an approximate of five ounces but many mothers have experienced that they are not able to fill up to 5 ounces since the bags become prone to leaks when it is filled and it makes them difficult to lay flat and stack inside the freezer. These milk storage bags are made with extra thick BPA free plastic, its thickness helps the bags stand up on their own freeing moms from needing extra hands to get milk transferred into bags. These bags are budget friendly and are a perfect choice for moms who are collecting breast milk but cannot pump as much since these bags are small so their milk would just fit right without wasting too much extra space in the milk storage bag. These breast milk storage bags may not be as popular as other brands but these Mommy’s Precious breast milk storage bags offer good quality and ensured safety for your precious breast milk and certainly do not lose out to the major brands in a lot of aspects. Mommy’s precious milk storage bags are by far the storage bags with the largest capacity, these bags can hold up to 8 ounces of milk and will work best for moms who have a good and larger supply of breast milk and pumping for two babies or twins. These bags are also graduated with accurate measurements so that moms will be able to give their babies an adequate amount of milk you want to give them. Each of these bags is made with high-quality pre-sterilized, latex free, BPA free thick plastics to guarantee and ensure the integrity of the breast milk and guarantee your baby’s safety. These bags have good label tabs so that mothers can easily write the details of their expressed milk, they are also designed with a secure double zipper to avoid spills and leakage with a gusset bottom to make it easier to work with. Despite the size, these milk storage bags get stored in nicely without taking up much storage space since these bags freezes flat and stack up perfectly with no problem. When it comes to budget, these breast milk storage bags are a good deal since they are affordable and you get to have 110 breast milk storage bags for a price of 100, therefore getting 10% more! The breast milk storage bags from Medela are very easy to use and very convenient since they easily attach to any Medela pump for direct pumping into the milk storage bags. These storage bags are made with durable BPA free plastic and are double walled for long term storage. The simple design of the leak-proof double zipper seal makes the bags easy to close and seal, these bags are also made with a high-quality bottom to prevent and avert spills. Some mothers have issues on how little these storage bags can hold, the Medela breast milk storage bags can hold up to five ounces but some mothers claim that they get left with only three to four ounces since these bags leak when filled to its maximum capacity. So if you are a mom who pumps quite a lot in one sitting, these bags might not work well for you. If not stored up to its maximum capacity, the Medela Pump and Save bags freeze and thaw well without leaking. The Medela Pump and Save breast milk storage bags has a protective oxygen barrier to preserve the nutrients and maintain the freshness of your expressed breast milk. These storage bags also has a good space for labeling and stand up well or lay nicely flat inside the freezer or the refrigerator for a good space saving storage. If you are a new mom who is planning to use breast milk storage bags and still not sure of the advantages or benefits you would get from them or the possible disadvantages they might have, or if you are a mom of more than one and just really want to make sure if there are real advantages from the breast milk storage bags you’ve been using. Either way, we have a list of the advantages and disadvantages of using breast milk storage bags that you have been meaning and very eager to know about. Breast milk storage bags are convenient and easy, they are disposable so you spend less time and less fuss about cleaning. It is more economical and safer when using breast milk storage bags to store your expressed milk compared to using regularly resealable or zip-lock plastic bags. Breast milk storage bags are made to be able to withstand the storing, freezing, thawing process and are firmly sealed so you will have to worry less about spillage. Breast milk storage bags are usually a lot cheaper than plastic storage bottles and glass bottles. When it comes to storage space saving, breast milk storage bags will do the trick since they are not as bulky as bottle so they take up less storage space in your refrigerator or freezer. Breast milk storage bags are easy to label. Contamination is a big concern, but when it comes to breast milk storage bags you don’t have to worry since they are pre-sterilized unlike the standard freezer or zip-lock plastic bags. Breast milk storage bags come in handy especially you have a quick paced living since it saves up a lot of time because breast milk stored in bags thaws out quickly than milk stored in plastic or glass bottles/containers. Storage bags designed for the purpose of storing milk are marked with measurement guides which will help mothers in determining how much breast milk you have in stock at any given time. Good breast milk storage bags are leak proof and pumping into them is faster compared to filling plastic containers and bottles. No matter how sturdy the breast milk storage bag is, there is always a risk for leaking since they are not made of materials that are as hard as glass and solid plastic. An accidental puncture may tear or rip the storage bag anytime so extra precaution should be observed. Breast milk storage bags are not as eco-friendly as we want them to be. Most of the storage bags are disposable and are meant to be used only once so there is an increase in plastic waste in the household. Since breast milk storage bags are for single use and it is not advisable to reuse them, over time the cost and expense of buying new ones can add up. Different brands of breast milk storage bags are available in the market and not all of them will allow you to directly pump from your breast pump. Extra steps may be time-consuming since you need to pump into a container that is compatible with your breast pump and transfer the milk into the plastic bags for storage. Some breast milk storage bags don’t have accurate and reliable measurements so mothers should be very careful since this discrepancies will make it difficult for you to keep track of the amount of milk that you want to feed your baby and the amount of milk that you have stored. If you plan to use your milk within 8 days, you can store it in the refrigerator. Otherwise, store it in the coldest part of the freezer, where it can remain for up to six months. Never store your breast milk in the door compartment of the refrigerator or freezer. The door compartment has the most unstable temperature and the breast milk is more likely to defrost or become warm there. If you are in a location where there is no available refrigerator/freezer or if you are travelling, worry not since freshly pumped milk can be stored in a cooler with frozen ice packs for up to 24 hours. You can keep your milk at room temperature, then refrigerate it, and then freeze it. It is best to thaw breast milk slowly to preserve its vitamins and avoid nutrient destruction. Never refreeze thawed breast milk, but you can keep thawed milk in the refrigerator for 24 hours. Do not defrost, thaw or warm your breast milk using a microwave since it can damage the milk. Microwaving breast milk will destroy its vitamins and nutrients and will unevenly heat milk which results to heat pockets that will scald your baby. Always label your milk storage containers with the date and time of collection using a sticky label or preferably non-toxic markers. When you’re choosing which frozen milk to thaw and feed to your baby, use the oldest first. If your baby is at a facility that cares for other babies or toddlers, be sure to include your baby’s name on the label to avoid confusion.